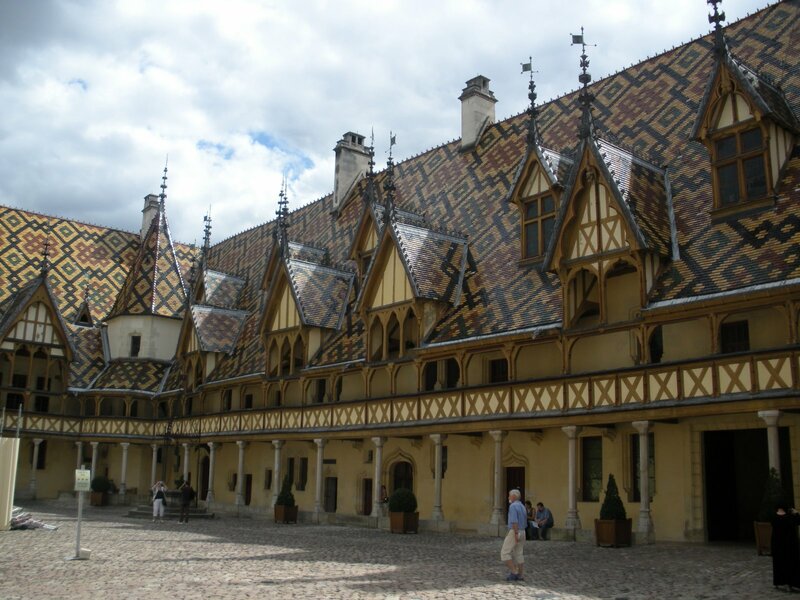 The afternoon featured a guided tour through the Burgundy countryside to the town of Beaune. The highlight there was not the wine tasting, as good as it was, but the visit to the Hotel Dieu. As I’ve quickly learned in France, Hotel is not a hotel, but a house. In this case, a wealthy man in the 15th century wanted to care for the poor, and created a hospital, full of art, to provide care. The multi-tiled roof was immediately deemed a “wow” by everyone who walked into the courtyard. The town itself was quaint. We walked through, but some mustard as souvenirs for me (to be consumed when home). We forewent the Captain’s Dinner for one more wonderful French meal. We walked across the bridge onto the small island in Chalon that was home to the restaurants we cased earlier. 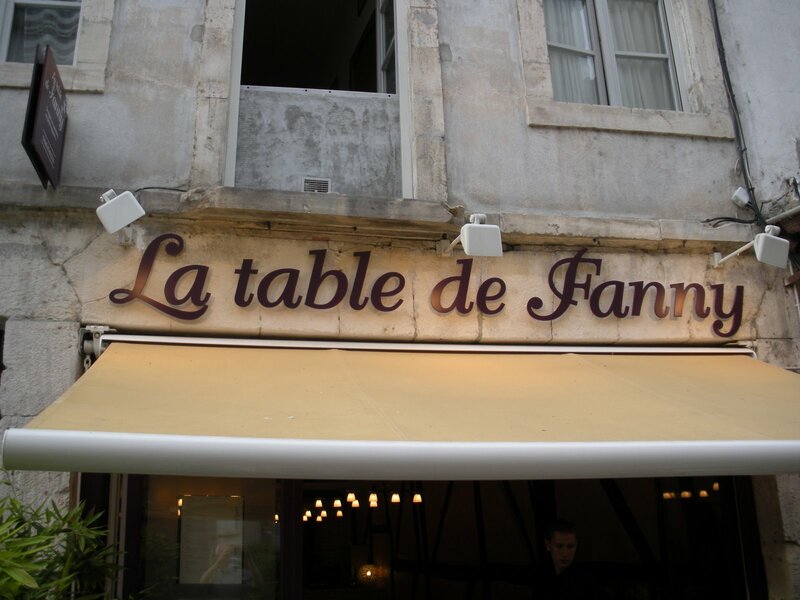 We decided on La Table De Fanny. We had the best meal of the trip. Ellen had a salad served in a colander with potato, egg, tomato, red pepper and more. I had a fish dish called bar that was served in a cellophane bag with vegetables. Accompanying my dish was grapefruit flavored olive oil in a plastic dropper and 3 different types of salt. Ellen had salmon, served a little more conventionally. We split a 1/2 bottle of white wine and had a chocolate dessert which was molten inside, with chocolate sauce to put on top. Simply a magnificent meal. We walked through town on the way back to the ship, enjoying the sunset at 9:30 and our last stroll in France. I’ll try to do an odds and ends while traveling tomorrow. There are a few things I’ve remembered I forgot along the way. I hope those who have read, both passively and those who have commented, have enjoyed this report. This entry was posted on Saturday, July 11th, 2009 at 7:54 pm	and posted in Uncategorized. You can follow any responses to this entry through the RSS 2.0 feed.